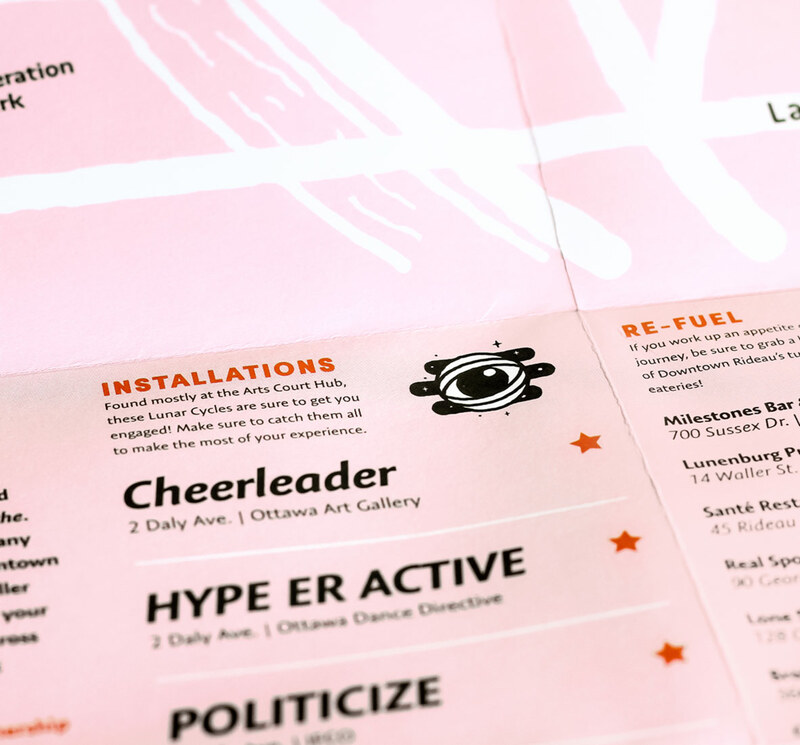 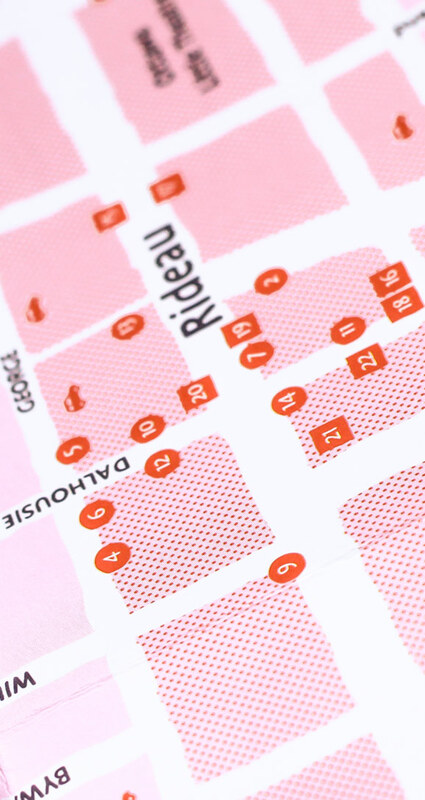 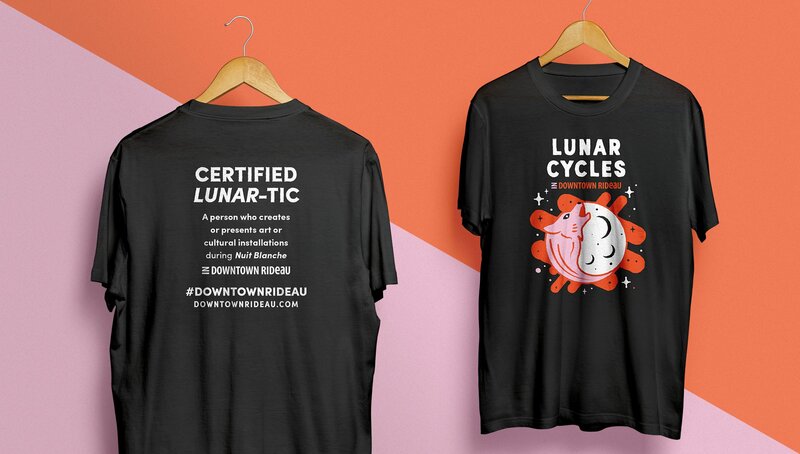 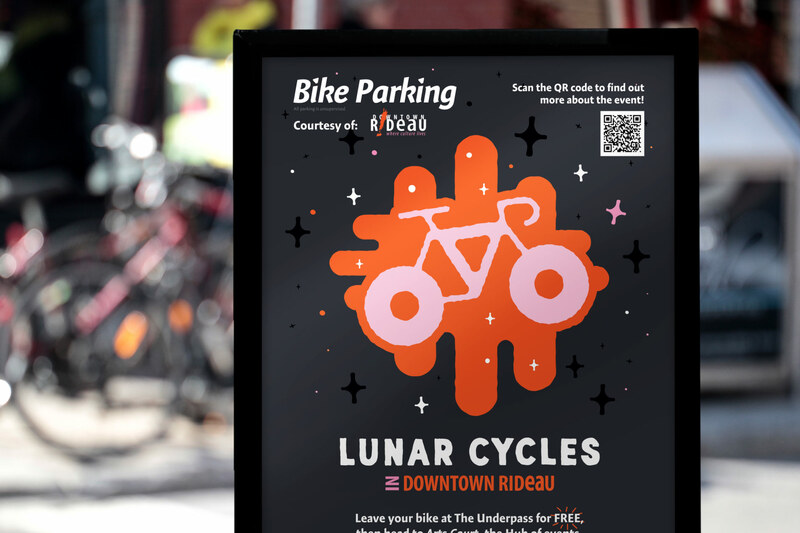 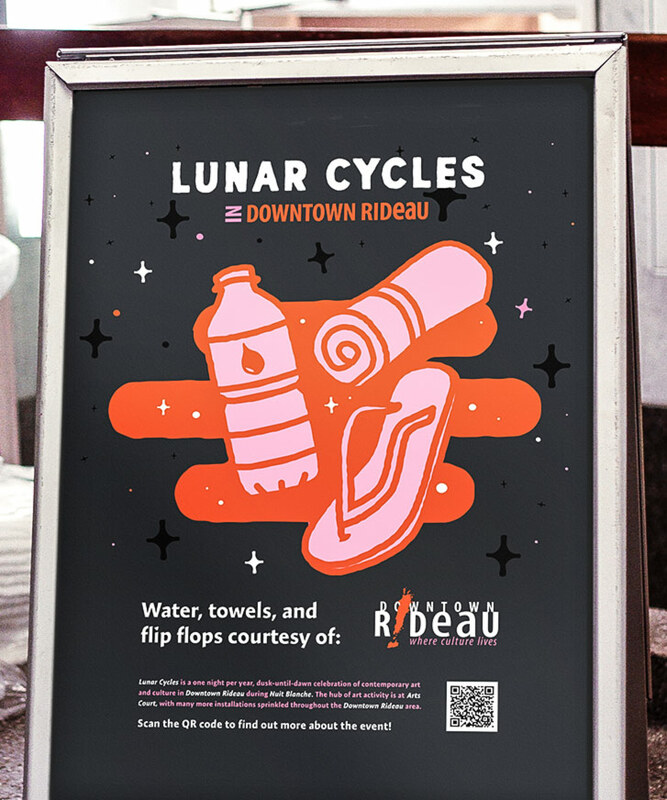 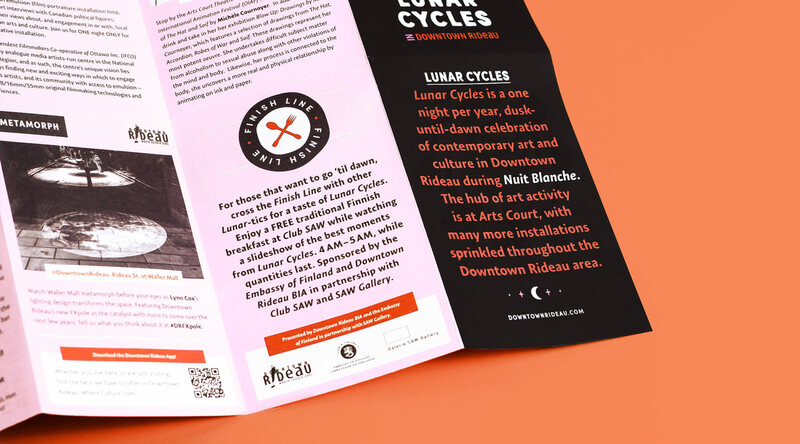 The Downtown Rideau BIA asked us to create a refreshed identity and promotional material for their district's contribution to Ottawa's Nuit Blanche. 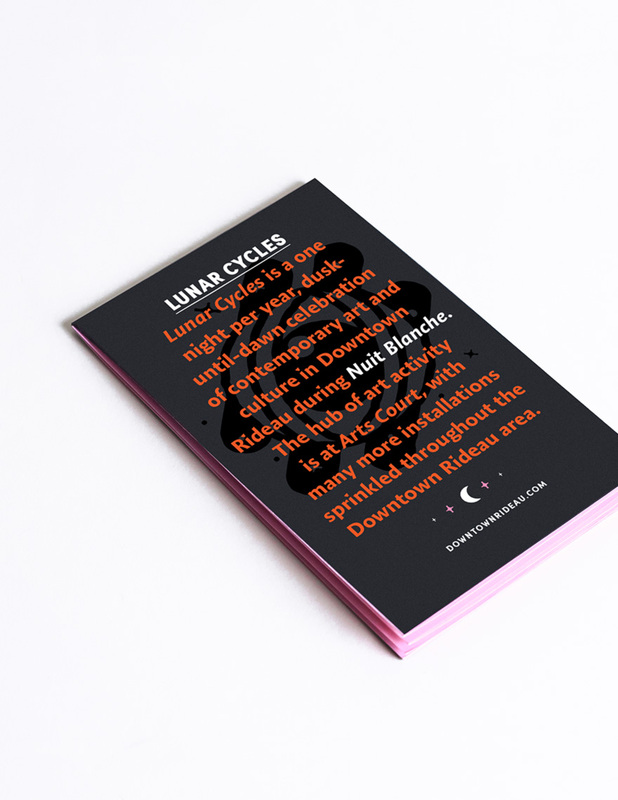 Previously nameless, we baptized it Lunar Cycles. 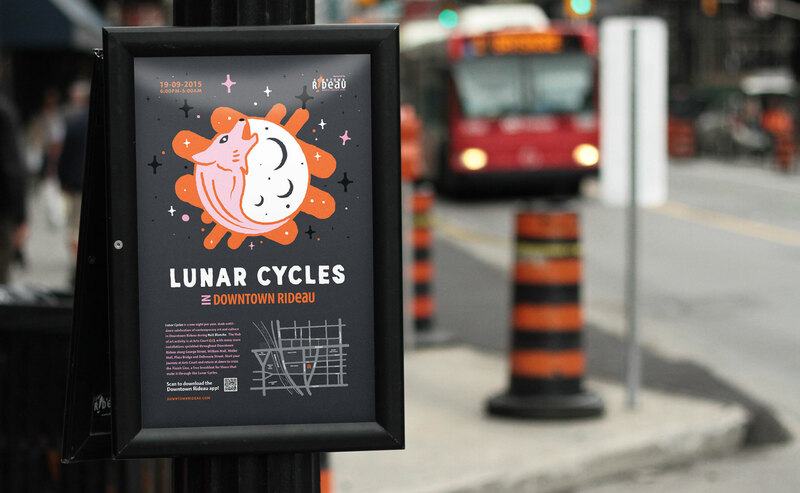 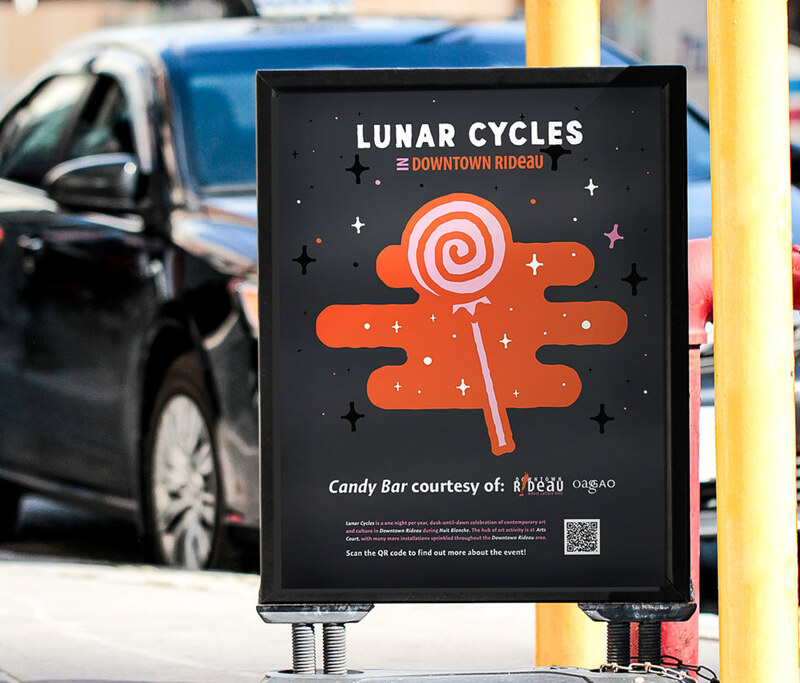 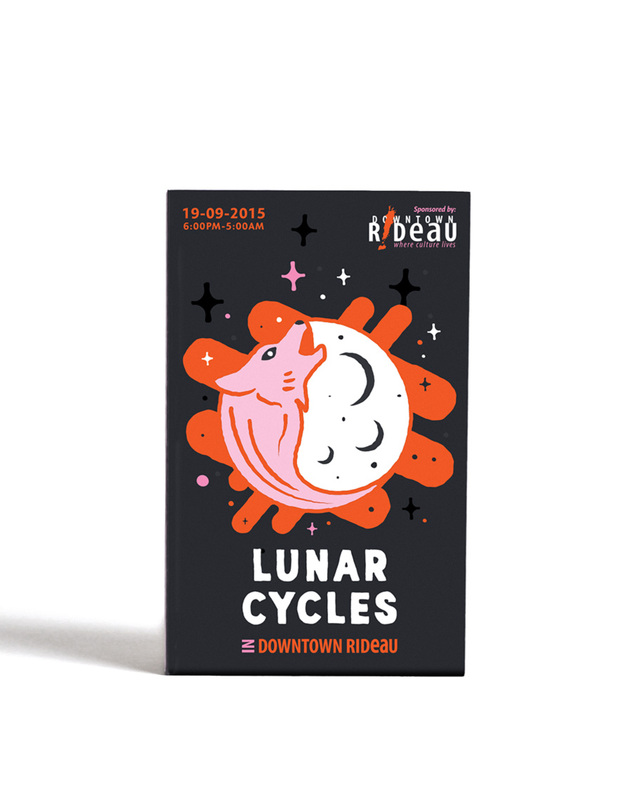 This project included the creation of the Lunar Cycles wordmark and brand, as well as illustrations and layout for brochure, posters, t-shirts, and signage.